After Twin Flames 11:11 having been online for just about a year now, I have heard from thousands upon thousands of Twins from all over the world, both as personal clients and via the article comments and the emails I receive every day. I’d like to thank everyone who writes to me! I want you to know I read everything but unfortunately I don’t get the chance to respond personally to every one of you. What I do see in the hundreds of emails I get every week, is that Twins all over the world are struggling with the same issues, even if they’re not aware of it. And these are things I went through myself on my own journey. One huge issue for Twin Flames and other lightworkers is the complication of running new higher vibrational energies on the old human “body systems”. Our bodies aren’t wired for unconditional love, and most of us have ancestry behind us where no one ever experienced love of this kind or the other true high vibrational energies. On the Twin Flames’ Journey of Love, our human brains are working against us in many ways. The old 3D paradigms of separation, polarity, opposition, survival and conflict are not merely *theories* we opt into. These 3D patterns are ingrained physiologically in us – as neural pathways in our brains – and can be a deep block between Twins. The Twin Flame journey is all about overcoming polarity and perceptions of separation, to unite. It’s an issue not many speak about on the Twin Flame journey, but the brain can be responsible for the deepest and most stubborn blocks between Twins. We really can change your journey by changing how your mind works! Our brains are ancient! Hardly anything has changed in us physiologically since the Stone Age. 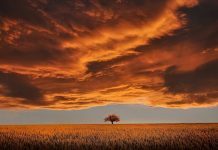 When we go through Awakening and Ascension, the process is a lot like running brand new software on an ancient computer – they’re not compatible. It can be a lot of hard work. Our brains for the most part think Love is a huge waste of time, except if it relates to survival in the sense of being taken care of, protected and procreating. There’s little to no hardwiring for Love, especially the 5D, spiritual, Unconditional Love Twin Flames are here to embody. This is new. And it’s why the Twin Flames are here on earth. We’re working out the prototype for a new product to launch to humanity, so to speak. Unfortunately there are still some bugs in the system to work out…! The human brain is designed to look for problems to protect us from. Our deepest neural pathways are routed in to danger, danger, danger. For our ancient ancestors it meant that they’d stay alert to the sabre tooth tigers lurking in the bushes, so they could get away in time. It was a great system for their mode of living. But for most modern people there are no gigantic predators around to look out for. In today’s society, these old patterns of scanning for danger manifests for most of us as unnecessary worry, perfectionism, stress, anxiety, jealousy… The mind running riot looking for problems, even where there are none. As you may have guessed, this becomes a huge issue in relationships and with the Twin Flame connection, where we have to be vulnerable, open, potentially get hurt. Many people don’t realize that their brains would often rather be without Love because there’s less potential danger that way. The human brain is wired the opposite from how we human beings want it to be now in our modern era. We want to be happy, in love, enjoy life – thrive. But mentally, we’re hard-wired to always be looking for and creating new problems to solve, new dramas to live out. The brain’s job is to keep you safe, so this is its biggest focus – looking for danger. And when you do what the brain’s deepest wiring is created for – looking for danger, finding danger, scanning for potential problems – you’re actually rewarded chemically. Dopamine and serotonin are the brain’s reward drugs, that are released into your system to create a feeling of pleasure every time you act on these old programs of survival. This is one of the reasons why action movies, watching the news, gossiping, worrying, reading shock stories about other people’s horror stories (like sad Twin Flame runner accounts), is so addictive to so many people. The survival patterns are the oldest, most deeply engrained parts of the human brain. On a basic level the brain thinks that everything is potentially a killer, because that’s how our ancestors survived long enough to actually procreate and carry on the genes and energies we are now carrying. We’re carrying the energy of the “best survivors”. Not just the strongest and most sickness-resistant physically, but the most mentally suited to survival. A FIX: When you notice your mind running through worst case scenarios, give it something else to do. Count all the orange things in the room, or list all the cities you’ve ever visited. Make up little “games” to use the brain’s danger scanning program for something MORE lighthearted. Give it something to “chew on” besides your happiness. The good news is that because the brain is so stuck in its old ways, we can USE the negative patterns to our advantage. Think of it like a computer that will run any program you put into it as long as you have the right password. My Twin describes the brain as a sheep dog. Fiercely active and busy, but very destructive when left to its own devices. Like a sheep dog, your brain will do an amazing job at helping and serving you once you give it clear signals. If you leave it to itself, on the other hand, it can tear your house apart. 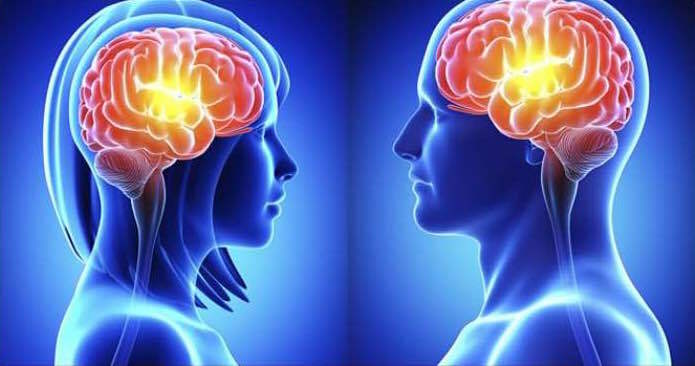 The deepest and oldest parts of the brain house the most primal activities, such as the fight or flight reaction, breathing, the physiological management of heart beat, blood flow, the body’s processes – the so-called “reptilian brain”. The subconscious mind that deals with these things, is constantly working without you even noticing it. You yourself know that don’t have to remember to breathe, or tell yourself to keep your heart beating or learn how to walk over and over. You do it automatically. When you ingrain skills deeply enough in your brain, they become automatized. The subconscious mind’s patterns are always operating whether we know it or not. The most common pattern is to scan for problems, pitfalls, drama, conflict – in order to ensure survival. However, as you probably know this can wreck havoc with your relationship and your life. Happily, we can always give our subconscious mind new things to learn, new things to focus on. Just like you taught yourself to drive, speak or play an instrument so well you don’t even have to think about it anymore, you can teach your brain to focus on Love, Harmony and Happiness instead of Conflict, Problems and Drama. Moving from 3D into 5D. A FIX: Gratitude is a highly effective tool for this, and has actually been scientifically and neurologically proven to change your mindset and make you 20% happier just within a month. GRATITUDE IS also a huge boost for your energy vibration, bringing you into alignment with love and Twin Flame reunion. There’s more about this and other tools for realigning your brain with Love and Unity in the Vibrational Alignment Program for Twin Flames. Research shows that the subconscious mind can’t tell the difference between real and false images and impressions. An example of this is the Placebo effect, where people get real benefits from pills with no medication. This now overwhelmingly accepted as proven in scientific communities. More and more medical professionals now use the placebo effect deliberately in healing, because it has been proven time and time again that the human power to believe is so strong we can actually change our physical bodies with our mere thoughts. You know when you wake up from a nightmare, drenched in sweat and with your pulse racing? That’s your body reacting to images, dream experiences. Not reality, but mental images and non-physical experiences. This is how powerful non-physical stimuli is to your brain. So when you worry and think about everything that could go wrong between you and your Twin, or in your finances, or at work – be very careful, because you are sending signals to your brain that this is reality. If you can shift your thinking, you can shift your emotions, your body and your reality. 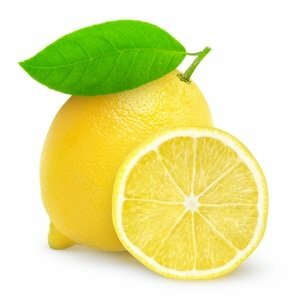 Here’s a striking example of the mind’s power: Imagine right now that you have a ripe, juicy half of lemon in your hand. Lift it up to your mouth and smell that strong citrus scent… Now, take a bite of the lemon, really bite into it. Did you notice your mouth producing saliva? Watering in response? Your mind didn’t know it wasn’t a real lemon. Creative visualization utilizes this human “weakness” or mental “disconnect” to our advantage and to reap big results. To get our energy to align with and create positivity by feeding our brain deliberately positive input. Creative Visualization originates among Hindu Sages thousands of years ago (who also developed yoga, meditation and the ayurvedic system) is a technique that top athletes and actors have been using for decades with amazing results. For a Creative Visualization meditation specially designed for the Twin Flame journey, have a look at the Vibrational Alignment Program. Regularly feeding your brain positive images and words is highly recommended on this journey, because it shifts us into a higher vibration over time. And it actually changes our neural pathways. Our human habit is usually to talk about and think about all the things we don’t like, reinforcing everything that’s a problem: we complain, gossip and debate all the negatives. This ingrains the negativity deeper and deeper. Energetically AND neurologically. Unfortunately many Twin Flame circles feed on these repeating cycles of negativity, where people vent about their bad experiences and set others up for expecting the same. Locking into a limiting energy field that’s focused more on problems than solutions. A TIP: Write down your desires, collect images that inspire you, make a vision board, listen to music that makes you feel good – lift your vibration and teach your brain to think differently! The brain is great at what it knows, so if you leave it to its own devices again it will revert back to its old behaviors – because these are the deepest neural pathways. The brain expends a lot of energy and the body is focused on limiting energy expenditure (the brain uses 20% of all your fuel, even though it’s less than 10% of the size of your body) – so the brain is highly focused on effectivizing its processes. To run the already established old programs of negativity “costs” less energy than creating new ones, because there’s less resistance. It means you have to work harder at what’s new than at what you already know. If you’ve got some bad habits or have ever been a smoker, or you crave checking in with Facebook or Instagram every 5 minutes, you’ll know exactly what this means. It’s only too easy to go back to those habits. In fact, your brain actually releases dopamine when you do, keeping it an addiction. So while you’re building up your new Love and Unity patterns, keep an eye on your brain because chances are it will try to lead you back to your old haunts. If it strays, which is likely, do what you’d lovingly do with a puppy or a child – guide it gently back again and again to where you want it to be. Research shows it takes about 21-45 days to form new neural pathways. So in order to see lasting results, repeat your new positive cycle over and over until new neural pathways have formed. The key to knowing that you’re succeeding, is that it starts to feel easier and easier as you go along. The first time you do something new, it feels hard, because there’s no preexisting “path”. Stick with it, as it gets easier and easier the more you do it. This is how human beings learn and excel at any skill – from sports people to virtuoso musicians to business moguls – some way or another they create the neural pathways that support their effortless action. It doesn’t happen in a day, but once it happens, your whole life changes. For Twin Flames, spending a few minutes a day on this can Truly Transform your Journey (yes, it’s so true and important that I capitalized and underlined the letters!). The Twin Flame Journey is above all a journey away from the old 3D ego structures that are embedded physiologically in the brain, to the new, higher vibration 5D structures of Unconditional Love and harmony. Union happens beyond and above the 3D Ego level – so to move out of your blocks and open up to unconditional love, your brain must be shown how to operate differently. Otherwise it will be working against you the whole time. Many Twins learn to do this on their own by sheer willpower and repetition. But with energy clearings and proven tools, it can become a lot easier. It can take as little as five minutes a day – the crucial thing is repetition and intent. Once you get started, the rest flows more and more easily. For simple yet powerful methods to manage your mindset, elevate your vibration and harmonize your journey with your Twin, have a look at the Vibrational Alignment Program for Twin Flames here. Alternatively you can try the Free Twin Flame Help Kit!